Help make history and support Puget Sound’s communities. 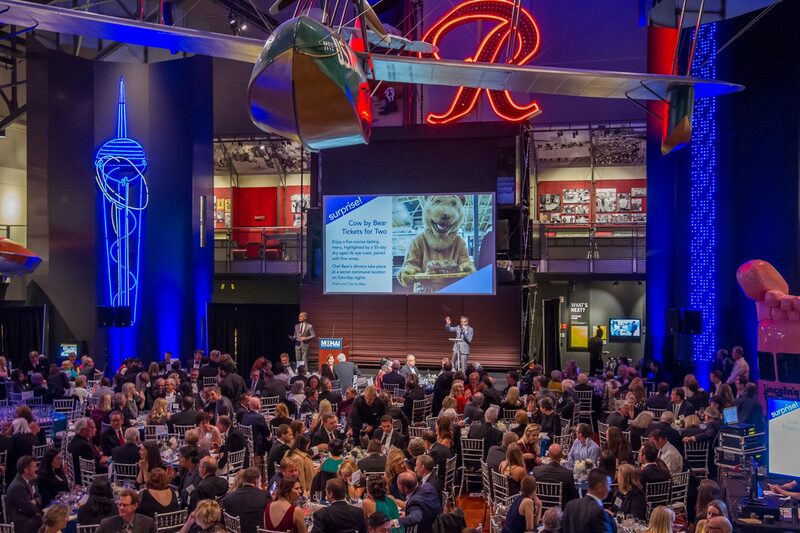 Each fall, the History Makers Gala celebrates MOHAI’s accomplishments of that year and toasts the Educator of the Year, while raising support for upcoming education and programming activities. The proceeds from this special event directly support MOHAI’s vision to be a vibrant resource where history inspires everyone to be their best. The generosity of supporters enables MOHAI to empower young people of all ages and backgrounds to connect with both the past and the future of their community. These resources are then made available students each year through K-12 programs, as well as providing young people with an opportunity to build 21st century skills and experience the museum. For more information please call 206 324 1126 Ext. 124. Many thanks to our partners at 6162 Productions for their support in telling our story. Gala Co-Chairs Kathy and Mike Stanley welcomed over 300 MOHAI supporters to raise vital funds for MOHAI’s exhibits and programs. Board President Chuck Nordhoff (middle) joins the emcees on stage to announce a surprise Raise the Paddle match. 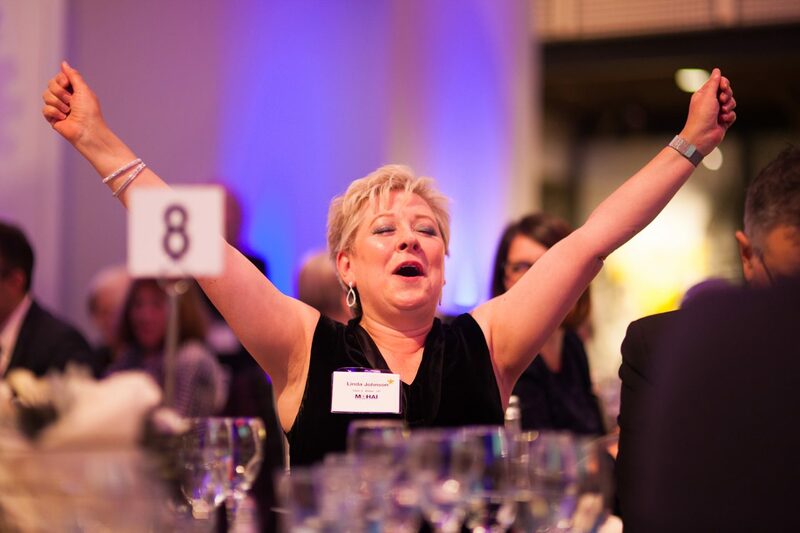 Guests took part in a spirited Live Auction, including Linda Johnson, former MOHAI Board President. Many thanks to those who joined us at the 2017 History Makers Gala and generously supported MOHAI’s mission. With more than 300 guests, the 32nd Annual History Makers Gala on November 3 was a huge success! Set against the stunning backdrop of MOHAI’s home in Lake Union Park, guests were inspired by the museum’s rich and iconic collection of Seattle’s heritage. The evening included silent and live auctions, a formal dinner, photo booth, and more. Chaired by Mike and Kathy Stanley, this year’s event raised $459,000 to benefit MOHAI’s engaging and innovative educational programming. Clarence Acox, Director of the Garfield High School Jazz program was recognized as MOHAI’s Educator of the Year. Generous in-kind support from Chateau Ste. Michelle, Kaspars Catering & Events, and CORT. Supporters’ generosity at the 2016 History Makers raised $416,000 to bring MOHAI’s mission to life! By supporting award-winning exhibits, education and public programs, and robust scholarship opportunities, 2016 History Makers supporters have empowered youth to explore the past and think boldly about the future of their community. 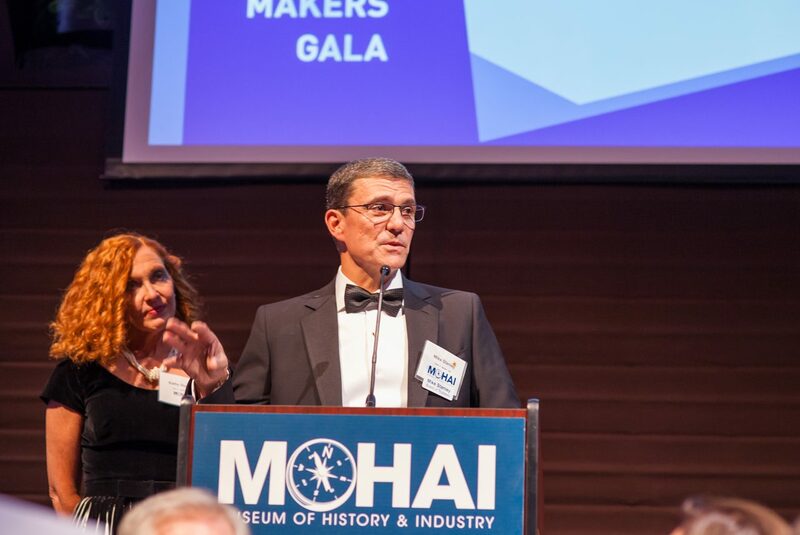 MOHAI’s 30th Annual History Makers Gala was a night to remember! With the generosity from tremendous supporters, a new record was set raising more than $470,000! Seneca Real Estate Group, Inc. The 29th Annual History Makers Gala was a memorable and historic evening. 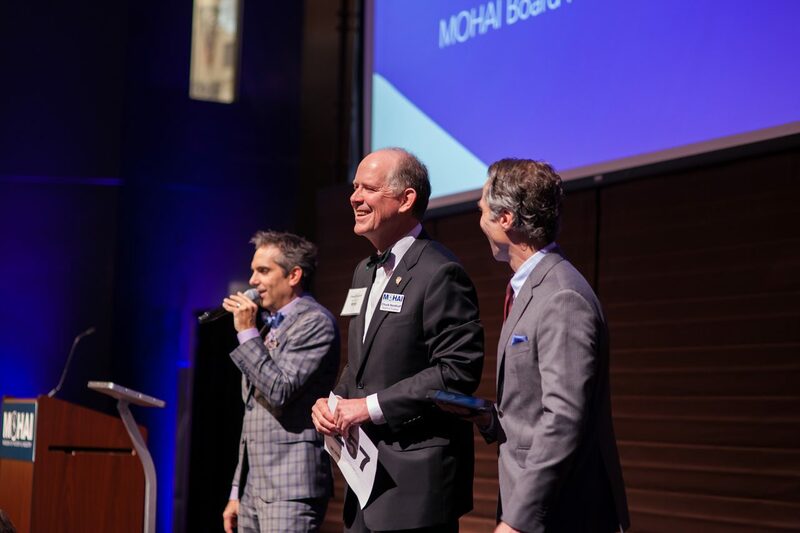 Thanks to those who celebrated and supported MOHAI’s innovative education programs and generosly raised $359,000. MOHAI’s education programs reached over 37,000 students and teachers and provided scholarships and free transportation to over 6,500 students in 2014! Additionally, MOHAI’s Portable Museum program reached over 8,500 students in their classrooms. The 28th Annual History Makers Gala was filled with incredible stories from Seattle’s past, present, and inspirations for the future. The generosity of attendees raised more than $215,000. Laura Blackburn from Cleveland High School was honored as the 2013 Educator of the Year. In 2013, over 10,000 students visited MOHAI for on-site programs, and an additional 9,000 students were reached outside museum walls through the Teacher and Trunk, and other rental programs. Crucially, 6,500 of these students would not otherwise have access to the museum, but were able to participate because of MOHAI scholarships, which receive funding through the generous donations received at History Makers.